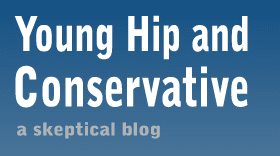 Young, Hip and Conservative: a skeptical blog: What do you mean by "access"
The American left has carefully chosen to word "access" to blur the distinction between legality and public funding for various issues. Take the recent quagmire over a federal law forcing insurance companies cover birth control. The talking point was not that birth control would now be provided. Instead, activists went to great lengths to state it as "improving access" to birth control. As if birth control had been illegal or out of reach for the entire populace. The same misleading wording is used to sell abortion funding and higher education. The simple spin is to present people like me who oppose the funding strategy as if we want to make it illegal. This false dichotomy is used to bogusly present moderate political opponents as extremists. I don't think it would be appropriate for the government to spend taxpayer money designing and purchasing video games for the public. That doesn't mean I want to see video games banned, I happen to enjoy a good video game, but I think they should be funded entirely through private expenditures. We already have access to them thanks to capitalism.